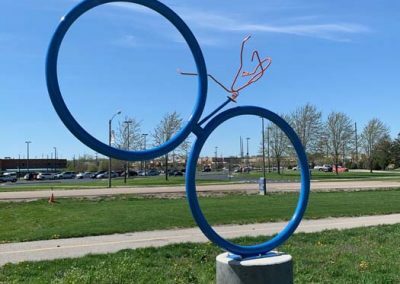 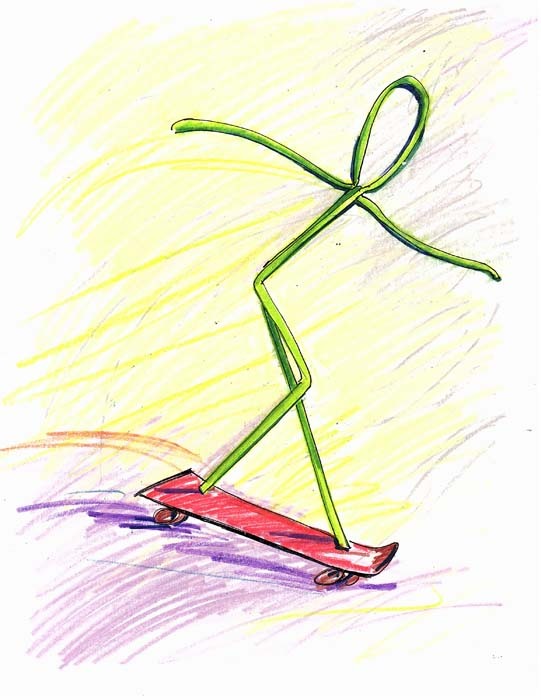 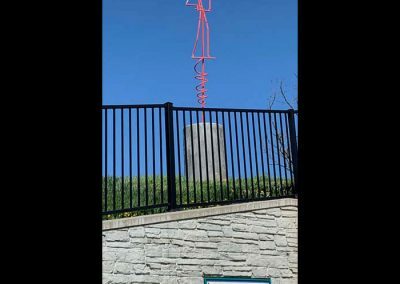 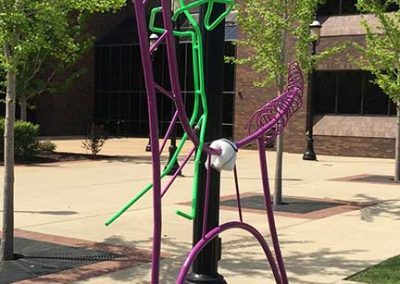 First introduced in 2005 at Belleville’s Art on the Square, 50 Shtick People created by Belleville artist and architect Gary Karasek quickly became a part of the Belleville community. 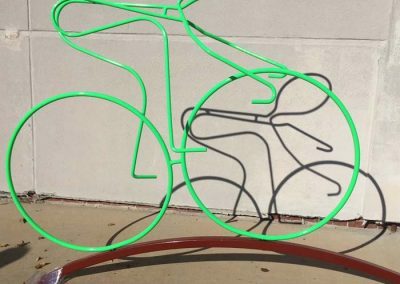 These continue to enhance the art fair and the community’s bike and rail trails. 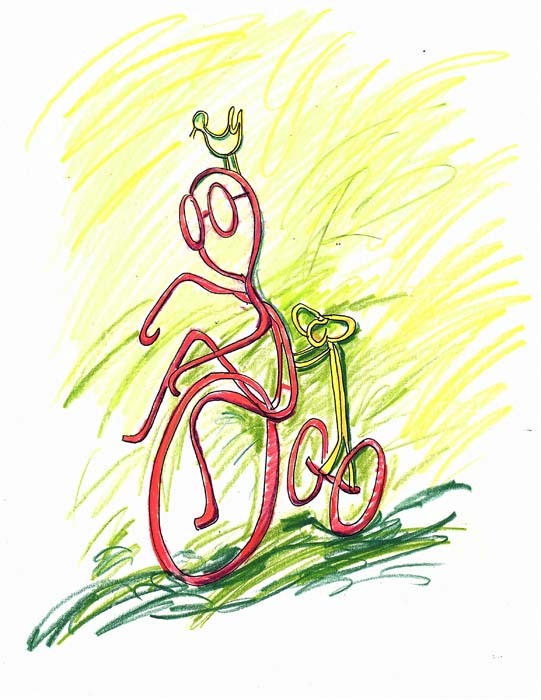 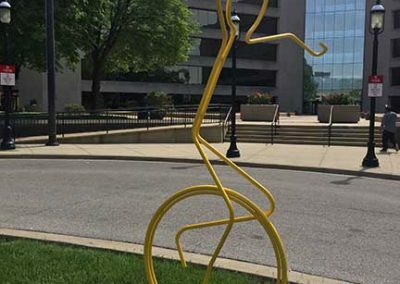 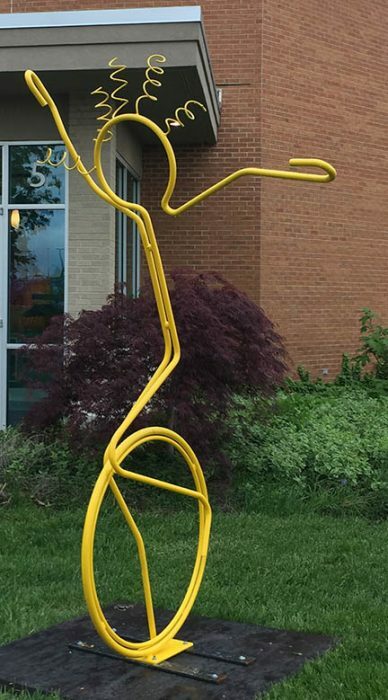 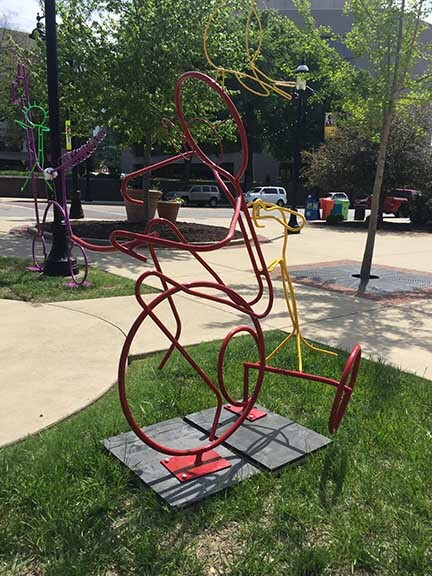 Sponsored by UMB Bank, this year’s project of newly crafted colorful metal stick people on various bicycles will be placed temporarily around the square as they populate the festival the weekend of the art fair. 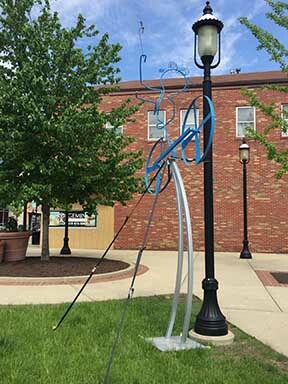 In conjunction with Art on the Square, a scavenger hunt was held on the fair’s grounds to locate all of the 2018 Shtick People for children attending the art show. 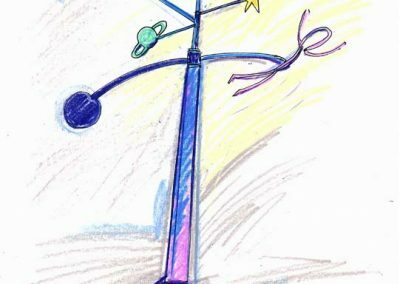 Children were asked to pick up a map and a booklet of stickers at the Souvenir Booth. 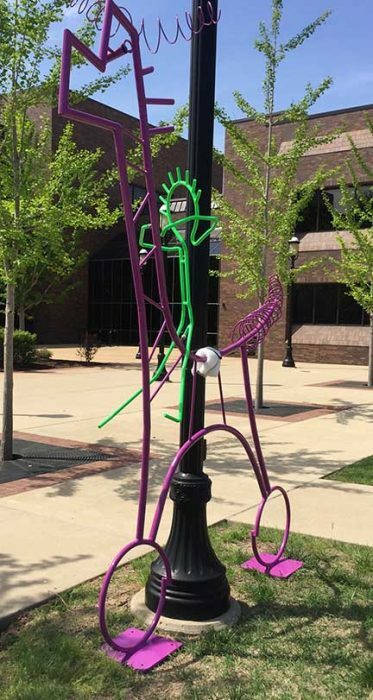 On the front of the map will be pictures of the Shtick People that have been strategically placed around the grounds. 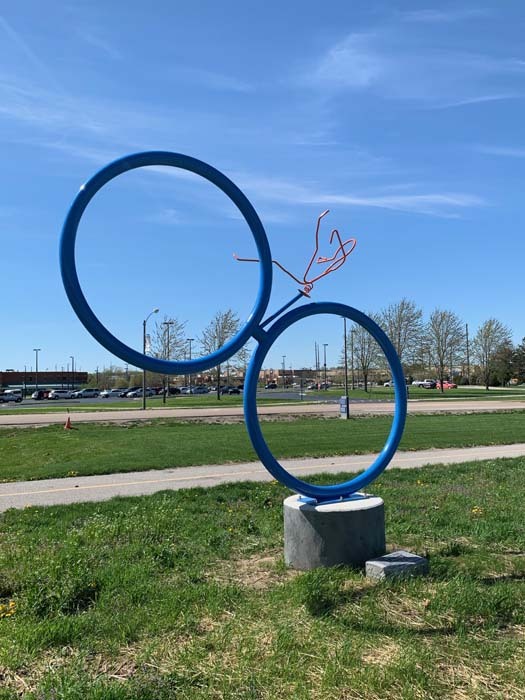 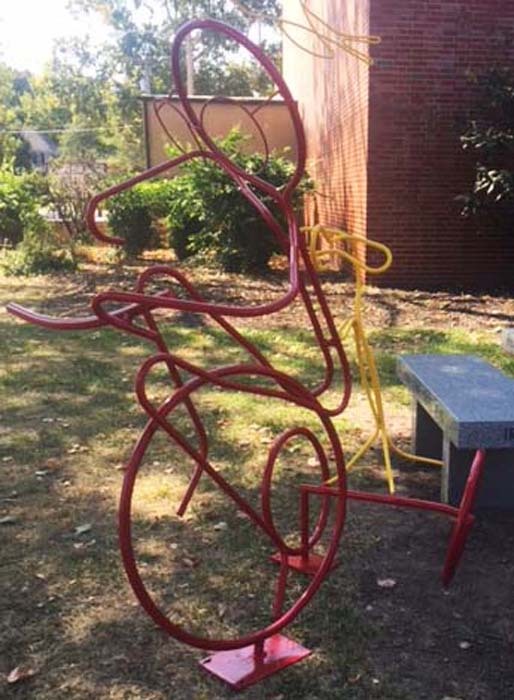 They will then explore the Art on the Square grounds, and when a sculpture is located; the children will then turn to the back of the map and place the sticker on the area of the bike trail where they feel it should be installed. 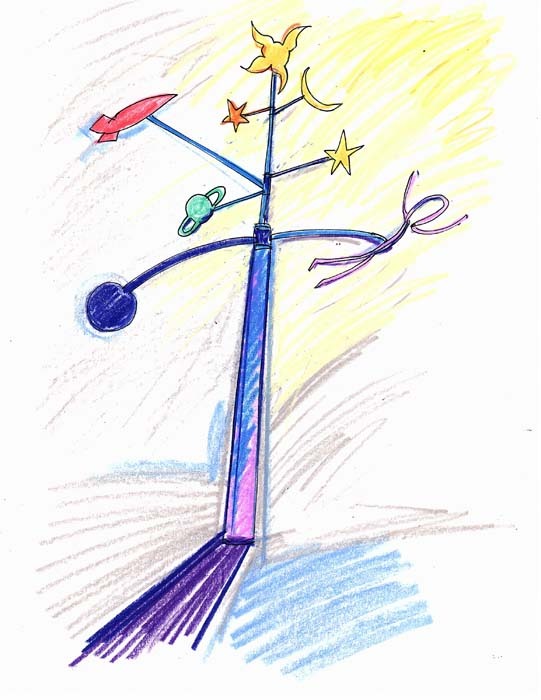 The participants will then return the map to the Souvenir Booth and be rewarded for their effort with a small prize. 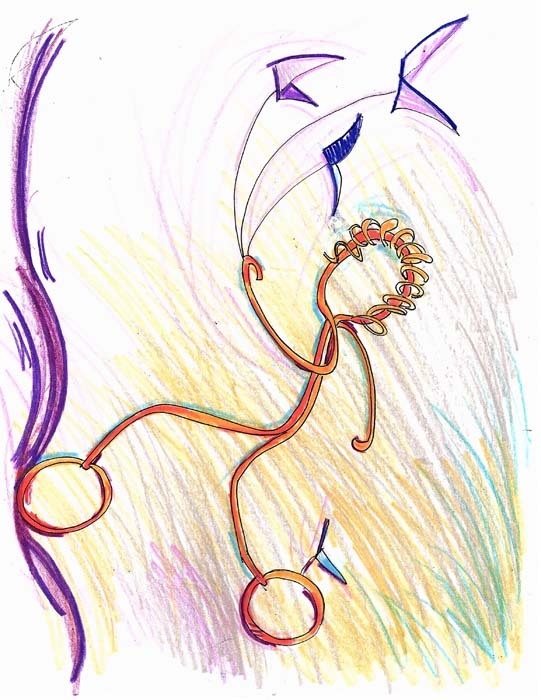 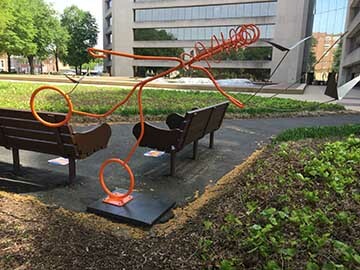 According to Karasek, people in general relate very well to the colorful pieces and he receives positive feedback regarding their presence on the trail. 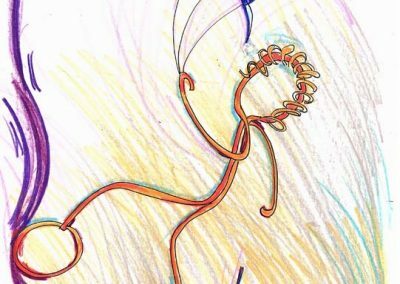 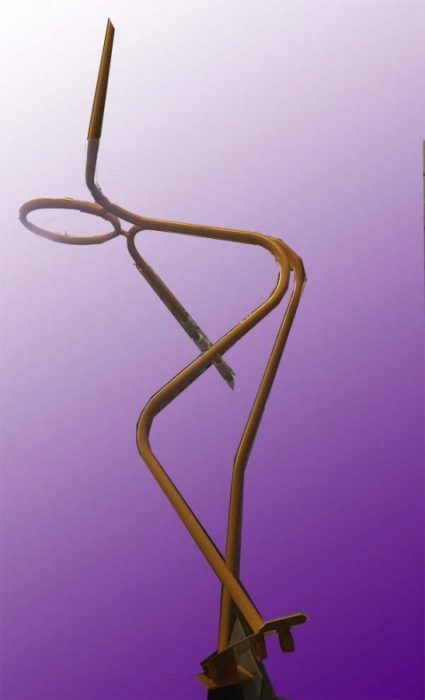 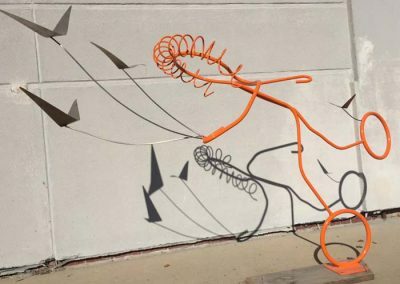 He designs them to be kinetic with flexible metal sections that move in the wind. 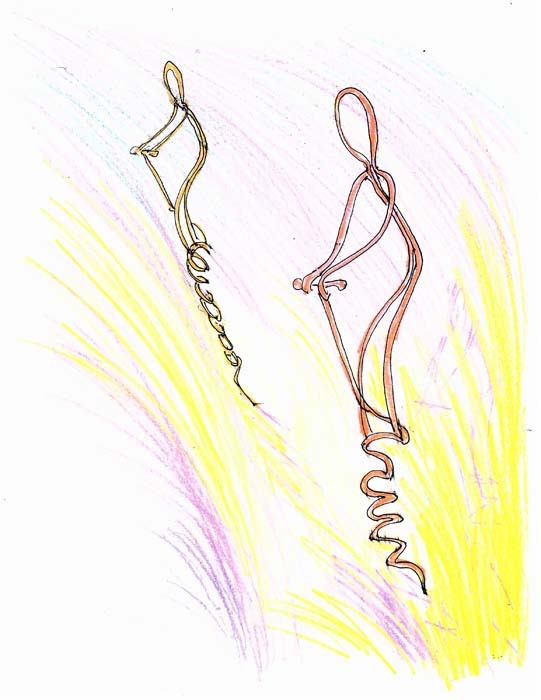 The figures are drawn in his studio, and from these sketches to scale models made from thin wire. 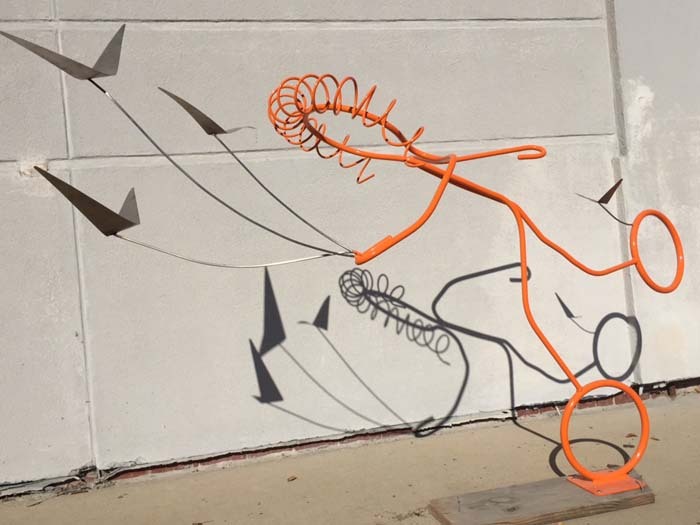 Next is the creation of the full-sized figures, made from steel tubes and rods. 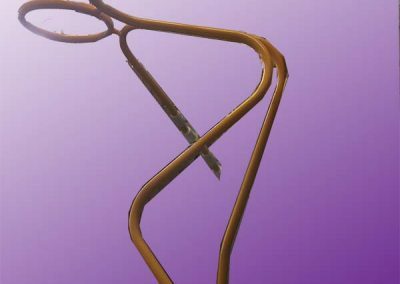 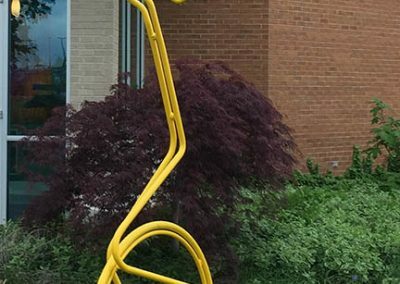 In doing this, Karasek works with a master welder from Maryville and also Sudholt Sheet Metal located in Aviston, IL that provides the powder coat (paint) finish. 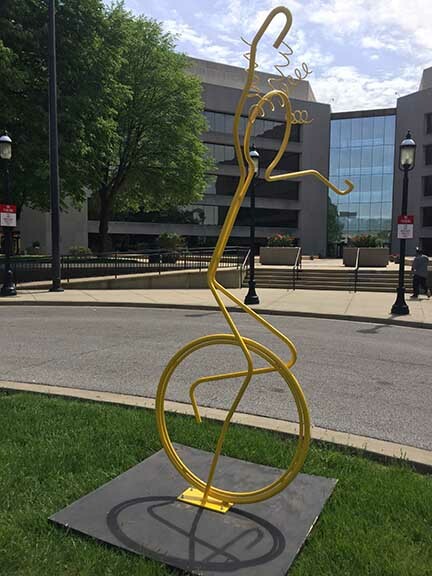 This year, Karasek completed 10 figures that were placed in the city storage garage waiting to be introduced at Art on the Square. 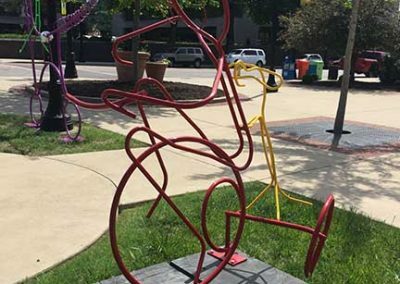 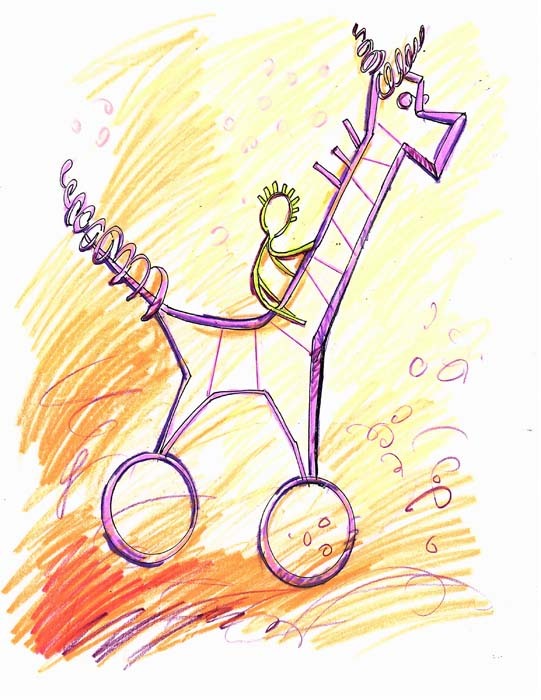 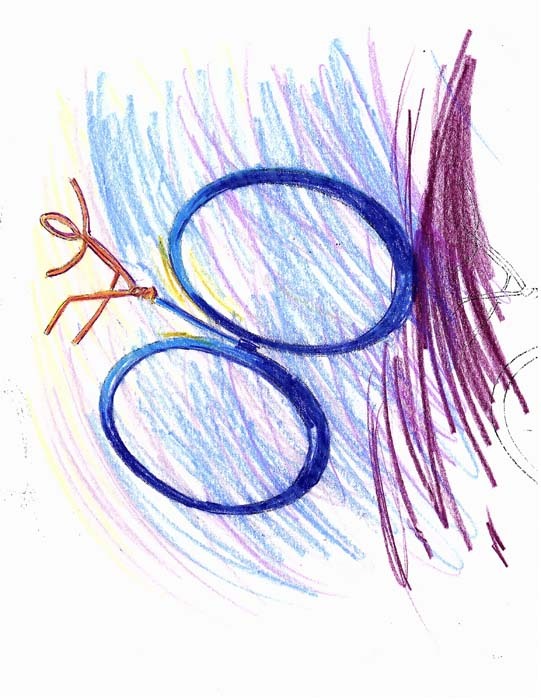 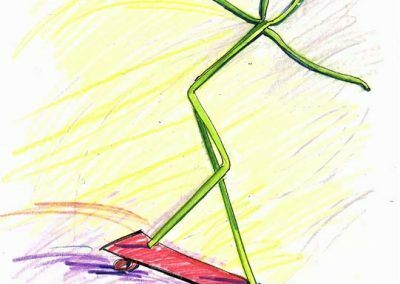 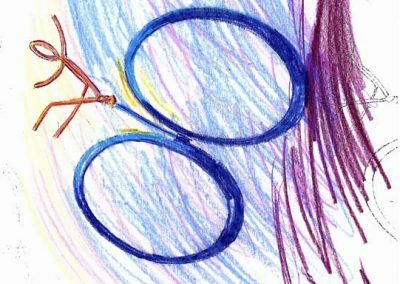 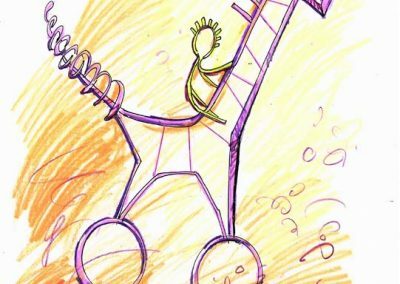 They include a skater with a bouquet of birds that bounces on flexible metal strips, a monster bike with huge blue wheels, and a bespectacled figure that sits on a red tricycle with a bright yellow bird perched on the handle bars. 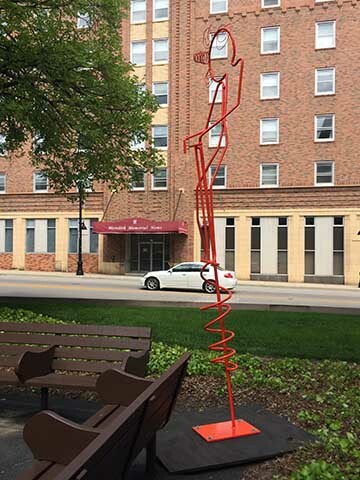 Art show director Patty Gregory first approached Karasek in 2017. 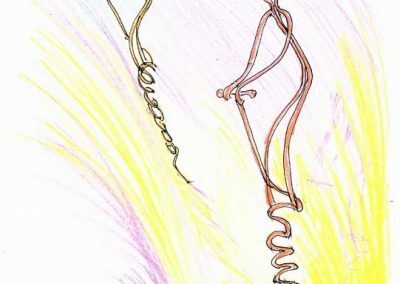 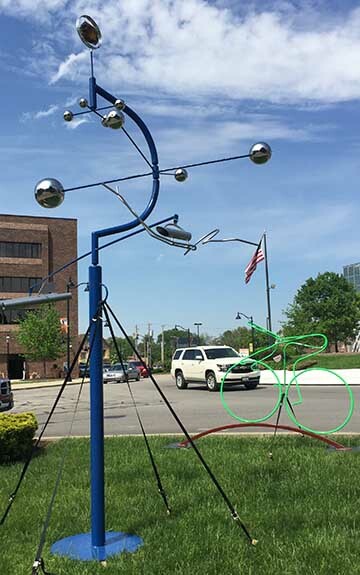 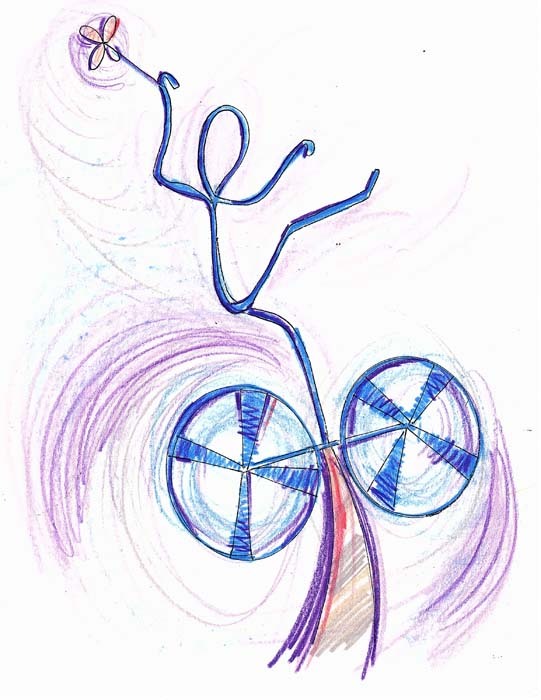 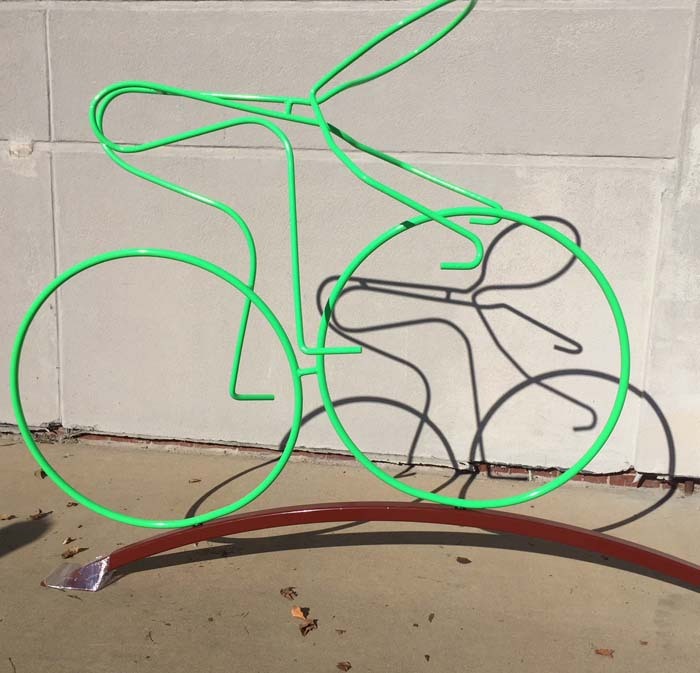 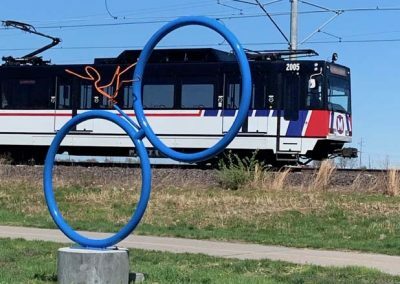 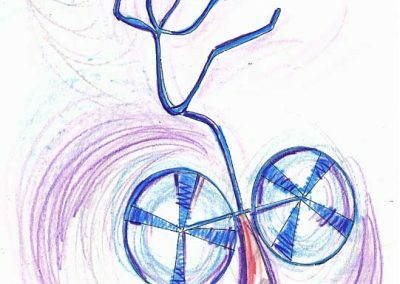 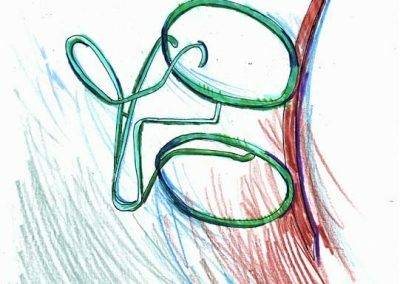 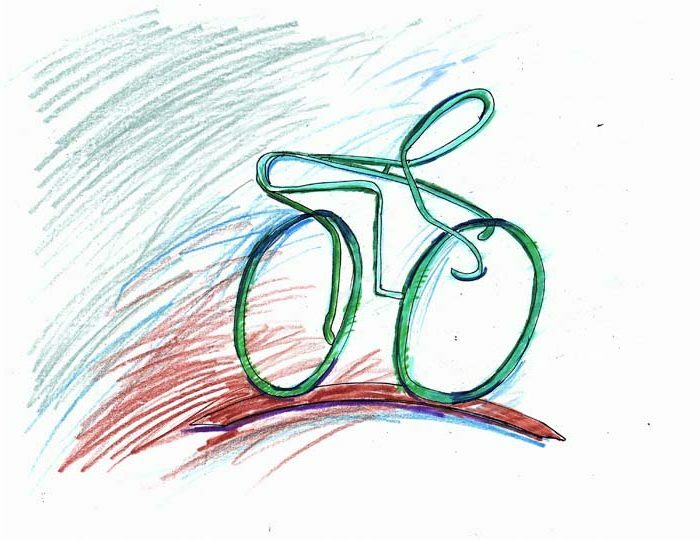 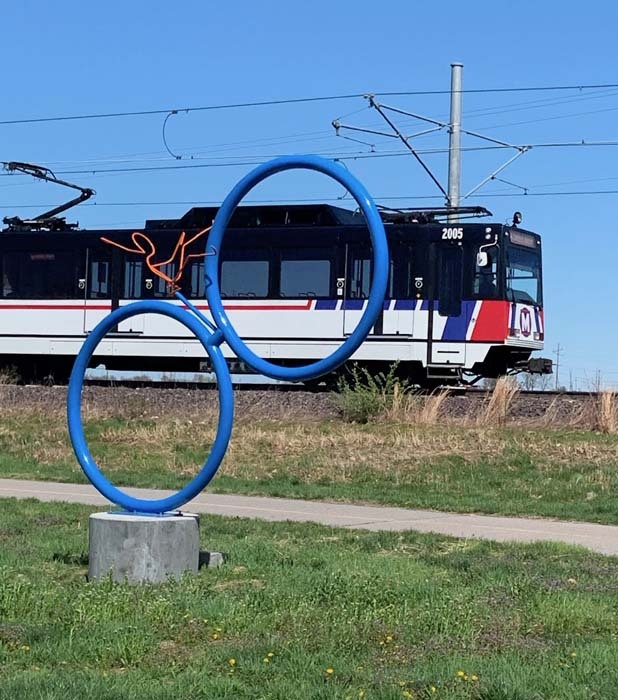 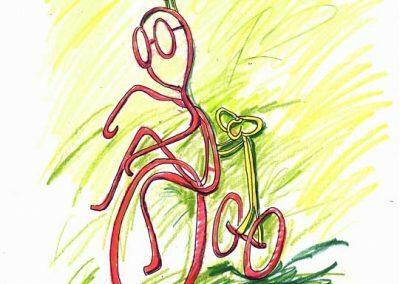 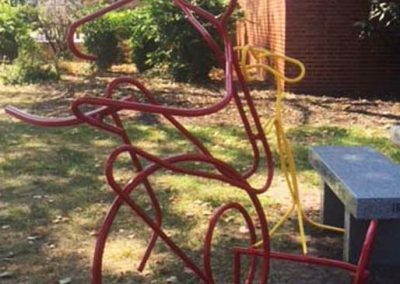 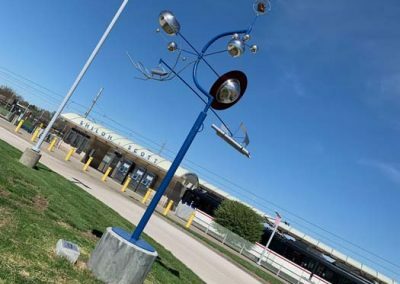 Her idea was to expand the Belleville area’s awareness of art, by asking him to design sculptures of diverse bicycles that would later be installed along the Metrolink alignment from Memorial Hospital Metro Station to the Shiloh-Scott Metro Station. 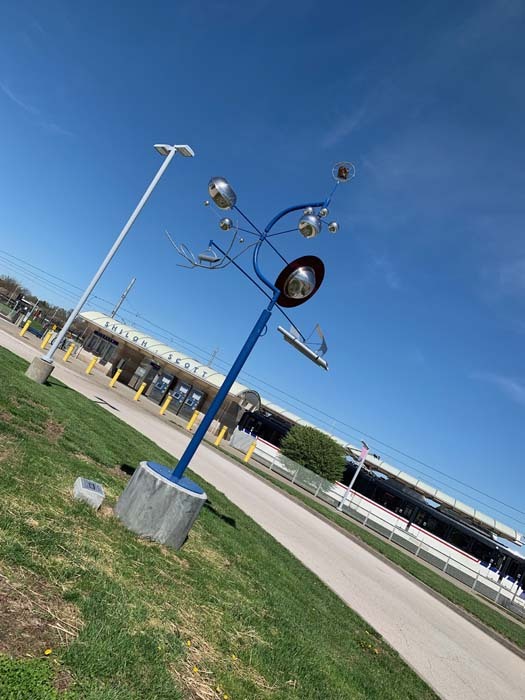 These would be placed on the approximately ten miles passing through Belleville, Swansea, SWIC, Shiloh and ending near Scott Air Force Base. 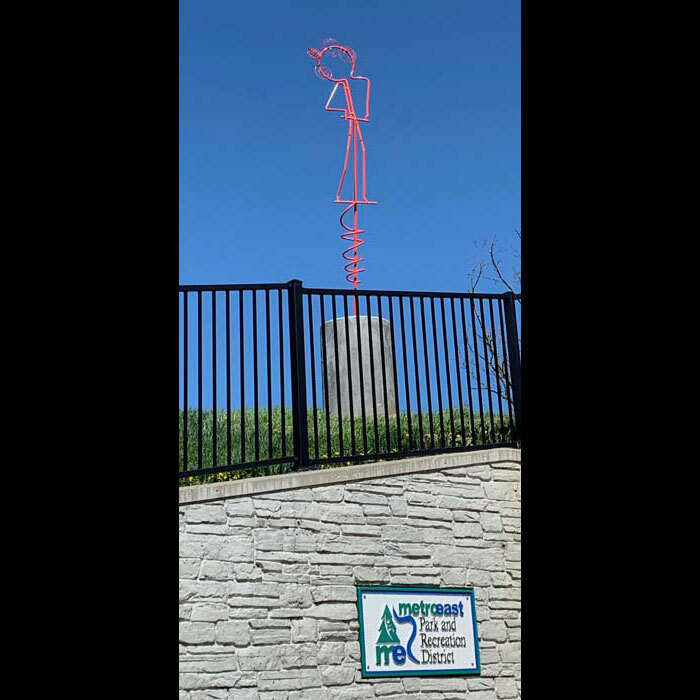 Gregory’s hope is that once all of the sculptures are in place, a Family Fun Day can take place along the trail, giving everyone the opportunity to see the figures and in turn interact with the art.